Golden Gate City Homes: Stunning sunsets overlooking Lake Sapphire from your very own fenced backyard! Tile throughout, vaulted ceilings, granite countertops, and updated bathrooms are just a few of the many features. This 3 bedroom, 2 bath, 2 car garage home has been beautifully maintained. Offering over 1500 square feet and a living room, family room, formal dining, and breakfast nook this home is perfect for growing families! The spacious master ensuite features tray ceilings, crown molding, private access to the screened lanai, dual vanities, walk-in shower, and a private water closet. Come take a private tour! Golden Gate City Homes: Great opportunity to own this beautiful house in golden gate city, Naples, Florida, this home count with four bedrooms plus den and 3 completed bathrooms, tile roof ,granite counter tops ,very nice and well maintenance landscaped, double car garage, completed fenced ,huge open porch with completed kitchen for the entertainment of all family and friends, view to the lake with a large wood deck for fishing al well, completed tile floors, nice ground molding in the bedrooms, and much more if you are looking for spacious family home this is the home for you!!! came to see for your self!! !make your app today. Golden Gate City Homes: This home has very spacious rooms and walk in closets. Large kitchen with separate breakfast nook, dining room, living room, and family room. Very large but cozy home with a screened pool and patio space as well as spacious backyard with beautiful trees. This home has an attached efficiency with private entrance. New roof installed in 2018. Come and see it yourself!! Schedule an appointment today! Golden Gate City Homes: Solid concrete block home in great area of golden gate city, Just mile from beach downtown and close to everything. This home has 3BR+DEN and 2 Bath with 1884 square feet of living area under air. Home has a new roof as of 2017. Golden Gate City Homes: Don't miss this beautiful home 4 bedrooms/2 bath/2 car garage in great location, with Screen Privacy Enclosure, NO HOA fees, 16" title on diagonal and wood floors throughout. Nice walk-in closet in master bedroom, tub to ceiling tile in bathrooms, central communication, alarm system, room for pool, very nice size patio with fence. IT'S ALL ABOUT LOCATION !!! Golden Gate City Homes: THIS IS IT!!! YOUR DREAM HOUSE!! The unique house come with 1/2 acre (.48 acres) VERY RARE ONE OF A KIND FEATURING A DOUBLE SIZE LOT in Golden Gate City, YOU WILL NOT FIND THIS SIZE LOT IN THIS AREA. Great backyard for entertaining with a Gazebo 16 x16, screened lanai, storage 12 x12 unit with 100 amp electrical services. Walking distance to shopping, school and libraries. Featuring 3 bedrooms, 2 bathroom. Completely upgraded including new title though entire house, New Kitchen with level 5 granite and new appliances and rope lighting in the kitchen and under cabinet lighting. Fence all around the entire property with roll gate door. Features that the house offer, 9 car parking, Security system outside its monitored with TV inside master bedroom, Washer and dryer in garage stay, Lighting in the attic area, Wall unit in the living room stays and fireplace stays as well. Fireplace heats the entire room for the cool months, New ac unit 2018, Safe in master closet to keep valuables. 3 years old water system. Crown molding entire house, all windows with trims around them. vacant easy to show. Come and see it on your own before it's gone!! Golden Gate City Homes: Great Opportunity to buy this Property located in an over sized conner lot in beautiful Naples FL, Offering a large size Pool(16x35) and 12 feet deep in the far end, situated on city water and sewer, close to schools, churches, shopping centers and a 20 min drive to the beach, this home it has 3 bedrooms , 2 full bathrooms. 2018 NEW roof, No HOA fees! and entrance to the backyard from both sides, very motivated seller, Make your appointment today, before is Gone!! Golden Gate City Homes: A great house south of GG Pkwy, in a good neighborhood. Completely remodeled inside with new A/C and pool pump and much more. Kitchen has all new wood cabinets with granite counter tops. There are all newer appliances with a side by side fridge with water/ice in the door, smooth top range, microwave and dishwasher. Both showers are tiled. Master Bath is Travertine Stone. The house has ceramic tile throughout. Oversized 2 car garage. Many windows are newer. The house has been connected to city water. You have a formal living room along with a nice size family room. Dining and Master lead to a screened lanai. The pool is very inviting and has been refinished. The back yard is fenced in. The new fixtures through out with ceiling fans in every room. Not a short sale or bank owned. Close to schools and shopping, come see this place soon. Golden Gate City Homes: ***TAKE ADVANTAGE!!!! BACK ON THE MARKET*** Previous buyer was unable to obtain a loan, it was FHA and a case was opened, property appraised above $324k, that appraised value will stay with the property for 6 months. Their lost is your gain. NEWLY RENOVATED, NEW ROOF!!! Click the link above to see our aerial and interior video of this property. This beautiful home offers 3 bedrooms, 2 bathrooms. Gorgeous new tile throughout. Upgraded Kitchen, Master bath includes double sink and shower, screened lanai, and 2 car garage attached. Freshly Painted and ready to move in. Easy access to main roads and close to I-75. Golden Gate City Homes: Looking for a big house for you and your family to enjoy? Search no more! This home has spacious 5 bedrooms, 2 bathrooms, a great pool and spa for family reunions, kitchen with granite countertops, nice cabinets, living room, dining room, a family room and all tile floors. The location of this home is in a very private area but still has easy access to any part of the city. The house has plenty of space for parking and is now vacant. Come check out this house and have a new family make it their Dream Home! Golden Gate City Homes: PRICE HAS BEEN REDUCED FOR QUICK SALE!! Spacious Pool home with amazing views to the golf course with NO Hoa fees! It has 3 beds, 2 baths, tile in the main areas, open layout and a great patio & pool area perfect for entertaining. This house has City Water, hurricane shutters and it’s partially fenced in. Conveniently located in desirable part of Golden Gate City with easy access to Collier Blvd, I-75, stores, restaurants, Schools, public parks and within 20 minutes drive to the beach! This beautiful home is priced for a quick sale. Call today to set up your private showing! Golden Gate City Homes: NEW PRICE REDUCTION!!! This is the perfect investment property in Golden Gate City!! This house has NEW ROOF & NEW A/C, extra parking space, spacious lanai with outdoor kitchen and fenced back yard with plenty room for a pool. PLUS the garage was converted with permits to another room and a bathroom. Enjoy the beautiful sunsets and lifestyle that Naples has to offer while your house is paying for itself with the extra rental income. Call today for a private showing before it’s gone! Golden Gate City Homes: Over 1700 sqft 3 bedroom/3bath , great investment opportunity or perfect for a long term owner! Located in a nice, quiet neighborhood in Golden Gate City, right near the golf course. 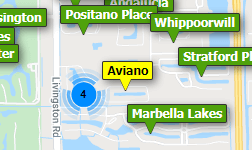 Only minutes away from restaurants, downtown, and the beautiful sandy beaches of Naples. This house includes tile floors throughout most of the property. Master bedroom includes master bath, walk in closet, dual sink, tile shower, and sliding glass doors that leads directly to your oversized screened lanai!! Enjoy a relaxing day of fishing while you take in the canal front view. The second and third bedrooms are on the other side of the home , both rooms are cozy and have tile throughout. Bedroom 2 has its own private bathroom. Home also includes a 2 car garage and a concrete driveway. Don’t miss out on this opportunity to own this amazing home!! Golden Gate City Homes: This is the beautiful home that you have been waiting for! No fees, gates or mandatory HOA to deal with. Centrally located in Collier County. Split floor plan, exterior door off master bathroom should you want to add a pool or spa in the future. Vaulted ceiling in the great room, french doors off entry and enclosed patio. Two car garage and more. Close to restaurants, entertainment, shopping, and golf courses. Live less than 8 miles from the our spectacular white sandy beaches and the Gulf of Mexico. Only 5 miles to Freedom Park, 6 miles to the Zoo/Gordon River Greenway or Coastland Center! Excellent Location, Excellent Street!! This will not be a quick close as of yet. It is a Firpta sale. Customers without and agent can reach out to the listing agent on the sign. Agents, please read confidential. Golden Gate City Homes: Beginning new year and new memories in this beautiful house 3 bedrooms, 2 bathrooms. Remolded bath and kitchen, Roof only 2 years old, AC only 4 years old, City water, large private fence back yard with sprinkles system, city water. Ready to move in. Golden Gate City Homes: Wonderful property in Golden Gate City. This won't last long. Everything is new, AC and roof 2017. Water system and septic 2016. Concrete block house. Security cameras included. House has a beautiful garden in the front and an immense backyard with a new fence and two gates on each side in case you have a boat or a trailer. Pool above ground included, as well as the two tents in the back. Bring your offers today!!! Golden Gate City Homes: * BEAUTIFUL HOME ON QUIET CANAL. HOME WAS COMPLETELY RENOVATED IN 2012 WITH NEW ROOF, FRIGIDAIRE APPLIANCES, PENDANT LIGHTING OVER RAISED GRANITE BREAKFAST BAR, RECESS LIGHTING IN BAY WINDOWS AND MORE CUSTOM FEATURES THROUGHOUT.GREAT LOCATION ON THE A QUIET STREET, AND LESS THAN A TENTH OF A MILE TO THE PARK AROUND THE CORNER! YOUR CUSTOMERS WONT BE DISAPPOINTED WITH PLENTY OF UPGRADES INCLUDING A NEW REVERSE OSMOSIS SYSTEM. QUIET AND READY FOR A FAMILY. SELLER WANTS SOLD . MOVE IN READY. Golden Gate City Homes: This 4 Bedroom/3 Bath home is perfect for a family or investment. Lots of storage space, nice kitchen area and lanai with room to add a pool. NO HOA FEES! There is a dedicated line on the patio for a hot tub. Also, at 220 volt outlet in the laundry room & 4th bedroom. The 4th bedroom has been plumbed for a kitchen. Golden Gate City Homes: Come and see this amazing property, Located not only in Golden Gate City close to everything. This house features 3 bedrooms and 2 baths, double garage, lanai and lake in the back of the property. New cabinets, granite counter top in the kitchen and bathroom ready to move in. Close to restaurants, bathroom and shopping centers. Call now for a private showing. Golden Gate City Homes: Great home in Golden Gate City. Recently upgraded, this one surely wont last long. Come take a look today! Golden Gate City Homes: Attractive and well maintained single family home for sale three rooms and two bathrooms, located in golden gate city, has multiple shoping close to the home, good schools and other attractions, the property is completely fenced, the roof was replaced in 2016, the kitchen with granite countertop and the appliances of stailess steel, tile floors, entrance door was recently replaced, water of the city, and a spacious patio for your entertainment, has security systems cameras, Fresh water canal in the back ,and much more. Golden Gate City Homes: Must see this gorgeous 3/2 in Golden Gate City. tile floors throughout living area and wood in bedrooms. Bathrooms have been tastefully remodeled as well. Large Master bedroom that was extended. Vaulted ceilings in living areas. Stainless steel appliances and granite counter tops. Conveniently located in south Golden Gate city. Close to showings. Call today to schedule a private showing. Don't wait, this one will not last! Golden Gate City Homes: Incredible Home in Golden Gate City!! Walk inside this cute 3 bedrooms, 2 bathrooms home with a beautiful canal view. Highlights included volume ceilings, lots of natural light, Laundry room, tile flooring throughout kitchen, dining, living, guest bedrooms, bamboo flooring in master bedroom, updated master bathroom with a walk-in tub, plantation shutters, new roof installed in 2016, screened in lanai and fenced yard. Golden Gate City Homes: Remodeled 3 bedroom 2 bath property located in Golden Gate City. This home features renovated kitchen, new central air system, ceramic tile and wood floors, large front and back yard, garage and new shingle roof. just 15 minutes away from sand beaches, shopping, dining, golf, sight-seeing, fishing and antiquing. No HOA dues or restrictions!